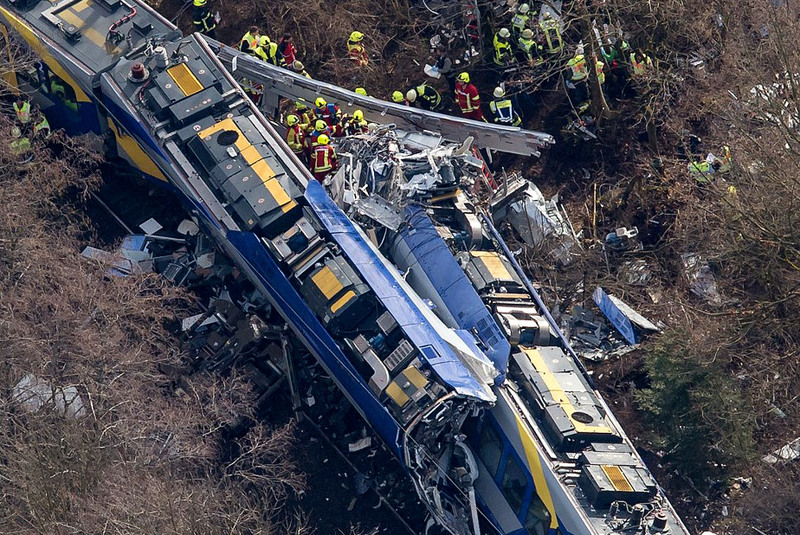 The February rail crash in Bavaria killing 11 was not an isolated incident. In fact, railway accidents are on the rise for several reasons. Some blame old railways and loose spikes for derailments. Others will point to antiquated safety signaling systems or lack of Positive Train Control (PTC). But the most direct threat to the safety of passengers, crew and other trains are the operators. Human error is part of every industry and the railways are not immune. Operators are being distracted from their duties at an alarming rate and this trend in railway disaster doesn’t seem to be slowing down. A series of human and system-wide breakdowns led to the tragic railway collision between 2 commuter trains in Germany back in February. But the blame fell squarely upon the human controller. Investigators quoted by German media said the timings of the computer game and the crash pointed to “the accused having been distracted from his management of rail traffic at the junction”. The investigation ruled out technical faults with the trains or signalling system as being behind the crash. According to prosecutors, the controller was playing a game on his mobile phone and made a signaling error. He then compounded the error by dialing the wrong emergency number. By then, it was too late. As the supplier for a major U.S. railway company, we have built thousands of devices to detect cell phone use in areas deemed inappropriate or illegal for those devices. Government buildings, prisons, court rooms, board rooms – these are just a few places that cell phones are no longer welcome. So when we see a particular industry scrambling for a solution, we know there is a problem. In the case of railways, mining and heavy machinery, we have seen tremendous uptick in interest for our solutions. This is because the jobs that require humans to operate in solitude sometimes become the most dangerous ones too. In 2014, a freight train derailment and explosion in Rosedale, MD spurred officials on to call for new laws banning the use of hands-free cellphone devices by drivers. Fortunately no one was hurt in this rural area but millions of dollars in property damage occurred. John Alban Jr., who was driving a commercial waste truck that collided with the train and forced the derailment, was using such a device at the time, the NTSB found. He had received a call 18 seconds prior to the collision. Education and law enforcement help to manage the problem but technology must play its role too. Privacy advocates have argued against technological solutions fearing that apps and dongles violate privacy and are vulnerable to cyberattacks. Still, that does not rule out technology as a solution provider. But how do we fight the ubiquity of distraction in all of our pockets? Should movie theater patrons be allowed to use smartphones during the feature? Maybe. Should inmates be allowed to use contraband cell phones from prison? Probably not. Should train operators be allowed to use cell phones while operating passenger or freight trains? Absolutely not. We cannot remove human error altogether but we can agree upon circumstances where distractions greatly increase the likelihood of that error. Distracted operator driving and subsequent accidents will continue until simple, technological solutions intervene. Cell phone detection solutions are affordable, passive and can trigger a variety of alerts or alarms. As RF experts we know this. But we also know that it’s impossible to prove a negative. So there’s no telling how many lives saved and accidents averted due to cell phone detection technology. We can only urge law makers, transportation providers and even citizens to address the problem head on. Learn more about cell phone detection solutions HERE. Craig Schober is a videographer, editor, technologist and storyteller. Since he was a young child, Craig grew up around computers, computer games and movies which all informed his technology perspectives and narrative disciplines.